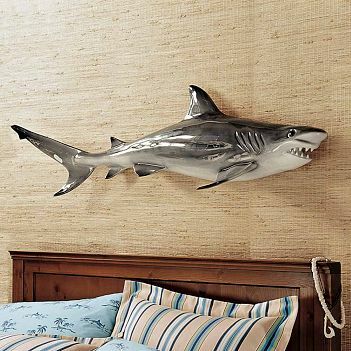 Add some bite to your decor with a 3-D shark. Shiny poly-resin is molded to lifelike proportions. The Neptune Memorial Reef, which opened last fall, is the ultimate in resting spots for those who love the sea. One day, they hope this underwater cemetery will cover 16 acres and have room for 125,000 sea lovers. Gary Levine, a diver, thought of the idea. 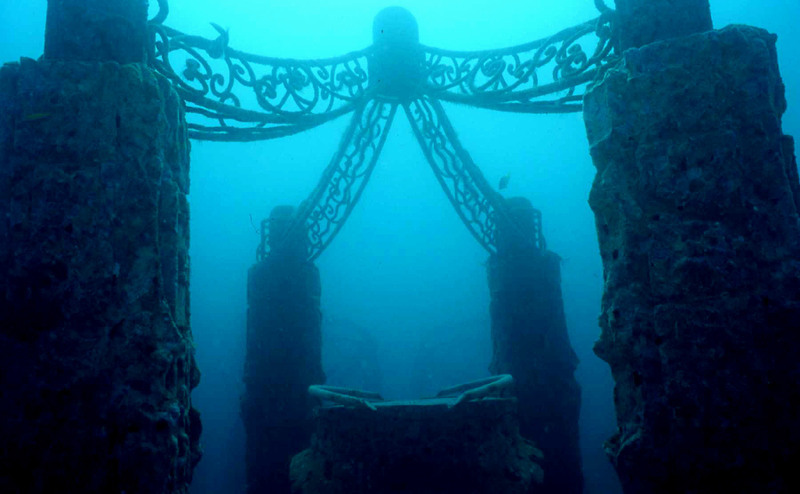 The cemetery is located in open waters about three miles off the coast of Key Biscayne (so any certified diver can visit). The first phase allows for 850 remains. Cremated remains are mixed with cement designed for underwater use and fitted into a mold, which is secured in the reef. A copper and bronze plaque is installed with the person's name, date of birth and death. 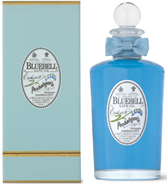 Just a splash of this gorgeous bath oil by Pehaligon, Bluebell, tints your bathwater a Caribbean blue and leaves skin soft and moisturized, according to Domino magazine. 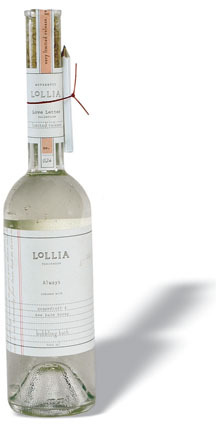 Elegant wine bottle with wrap around label and a lollia pencil to write little love notes on the bubble bath bottle. 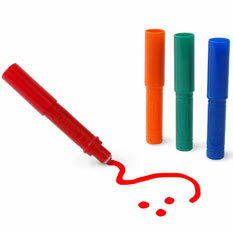 A sealing strip to ensure authenticity. Rain or shine, you’ll enjoy blue skies overhead. 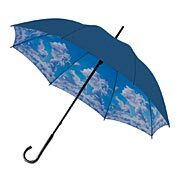 Solid navy on the outside, glorious on the inside, 40" diameter umbrella is polyester with a black wood handle and shaft. An antidote to the gray-day blahs. 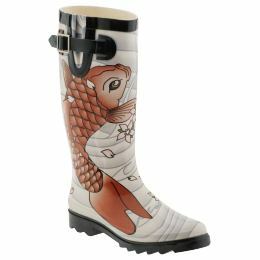 I seem to have developed a thing for rain boots later in life. I guess because my mother never bought me any. 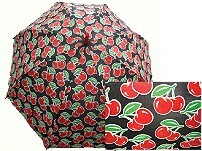 Retro umbrella with a rockabilly sense. Wild cherries! 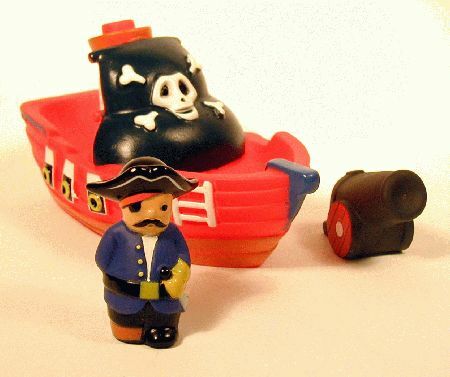 A bath toy with an edge. The cannon really squirts water even. "This is a mission to Planet Ocean." John Delaney, a professor at the University of Washington, is bringing a NASA-scale mission to the Inner Space (as the ocean is often called). "What we’re doing is bringing the ocean to the world,” Delaney told William Yardley of The New York Times. "This is a mission to Planet Ocean." He is threading 800 miles of fiber optic cable across the sea floor in the Pacific Northwest coast through a $331 million program financed by the National Science Foundation. Dubbed the Ocean Observatories Initiative, Delaney and others will work on a multifaceted effort to study the ocean through a combination of Internet-linked cables, buoys atop submerged data collection devices, robots and high-definition cameras. The first equipment is expected to be in place by 2009. Anyone who has read this blog for any length of time knows how I feel about a long, hot bath every night. And generally my iPod, a Corona or a glass of wine and my candles are enough to keep me entertained for hours. But knowing that I am easily bored (and, luckily, easily amused, too), I may need to have these bathtub markers waiting in the wings...just in case. The heat may affect my head differently one night and lead me to the desire to write the Great American Novel or that perfect poem in the tub one night.